Hi everyone! 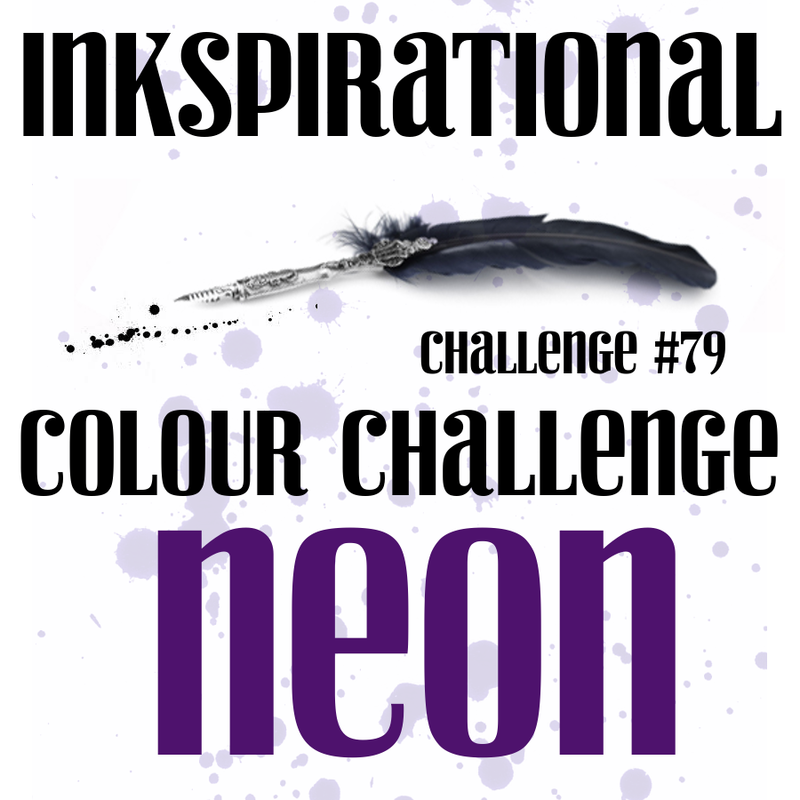 Our new challenge is Neon colours. Hi everyone! 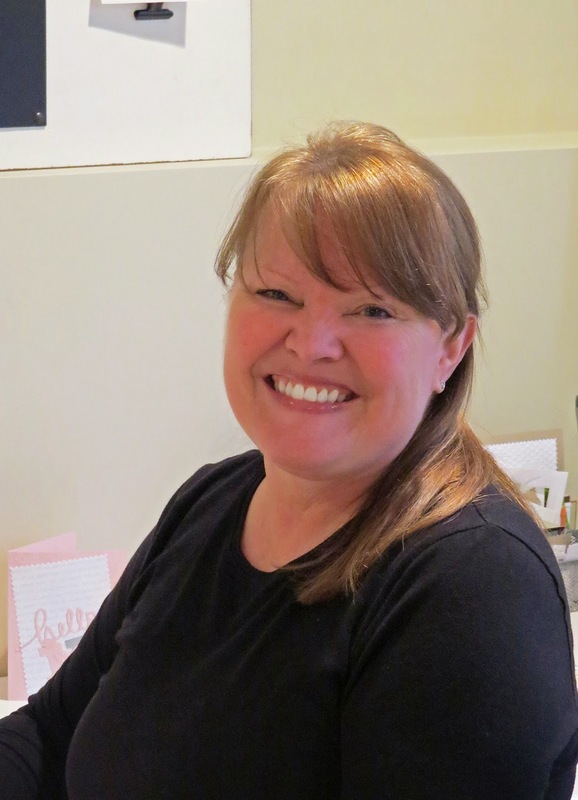 I love being a SAHW – stay at home wife – happily married for 20 years to my darling best friend, Tom. I am semi-retired from my catering business, but occasionally will still cater for small parties. 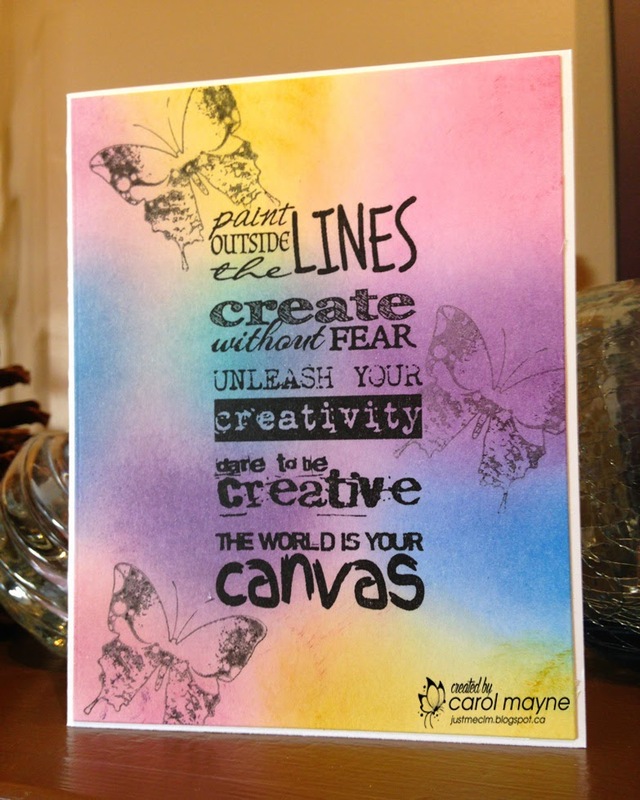 You’ll find me happily crafting each day, keeping up with my favorite blogs, and challenges. 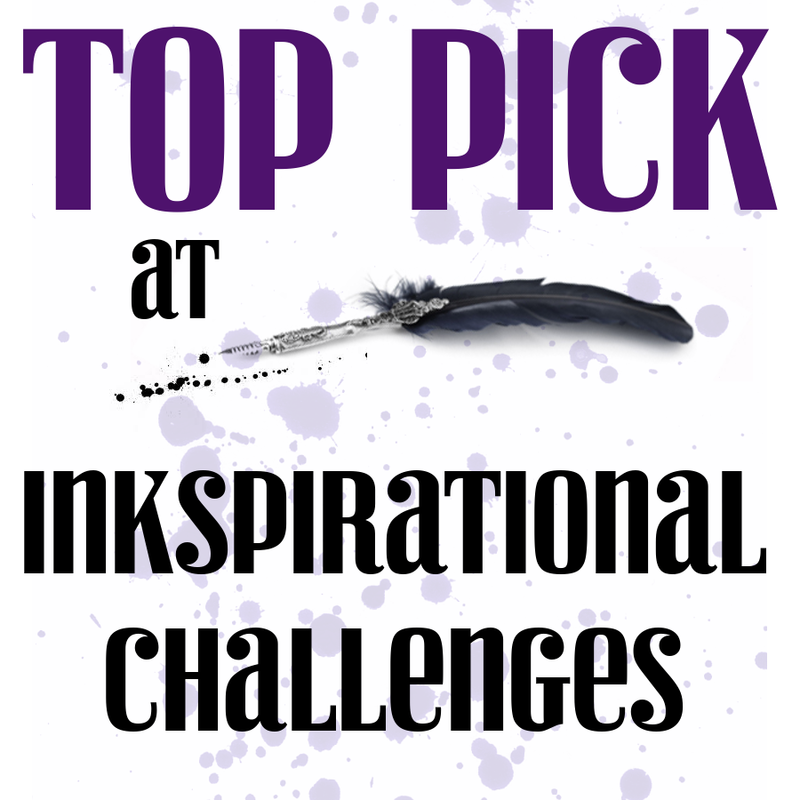 I am new to the Inkspirational Challenge – so thrilled to see my creation on the list... it just never gets old, does it? Never about the win, but having someone recognize your creative efforts... it keeps me heart-happy, and mentally-marvelous! 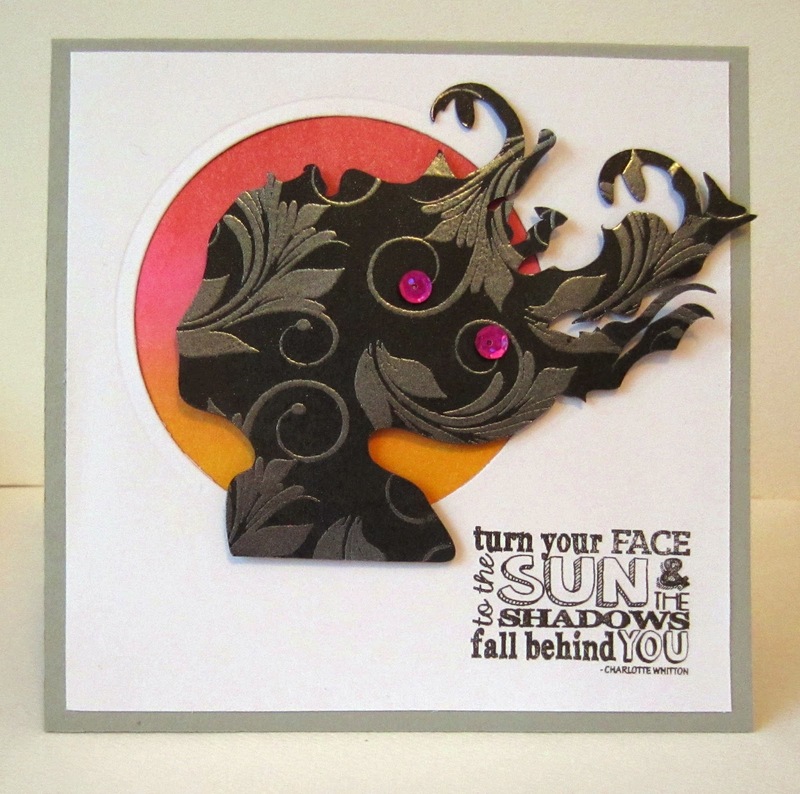 Thank you to Marina for inviting me to be a guest designer for this challenge... Neon!!! It brings me back to the 60’s and FLOWER POWER! Wow!! 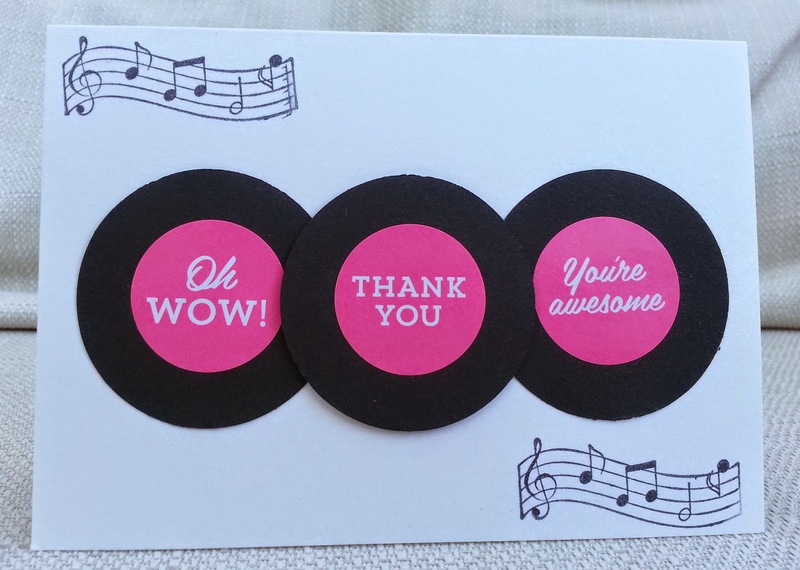 You guys were certainly inspired by our "Sprinkle" challenge! 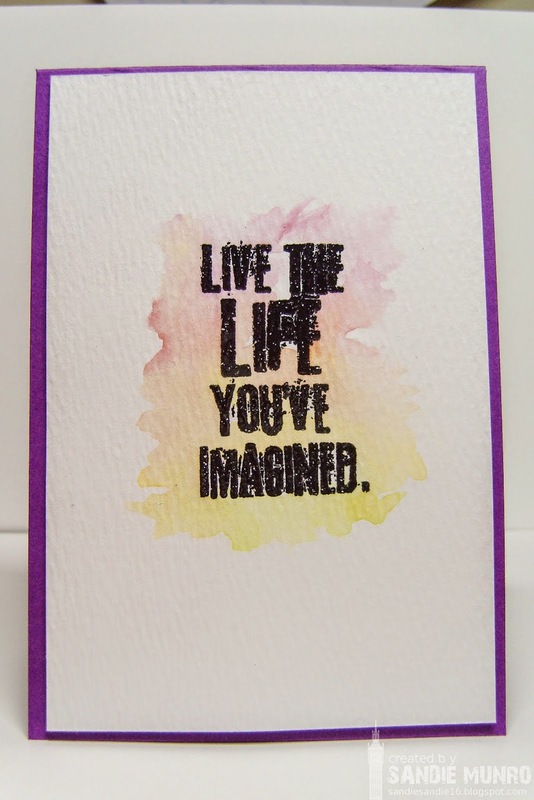 So many beautiful cards with such different interpretations of the word. It was an impressive gallery of works and it was very difficult to narrow down our top picks. Here they are! 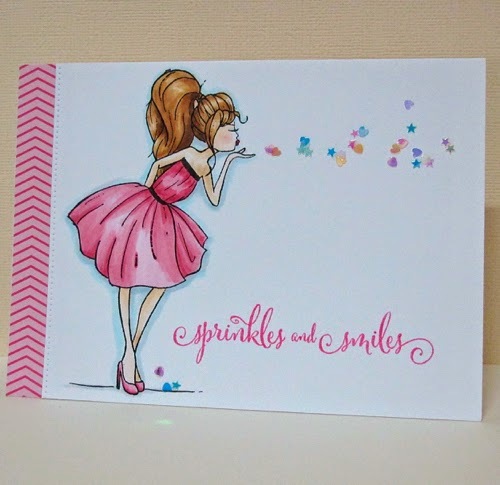 We were drawn in by Janet’s superb coloring on the image, but her clean design and unique use of the sprinkles is what set this beautiful card apart! 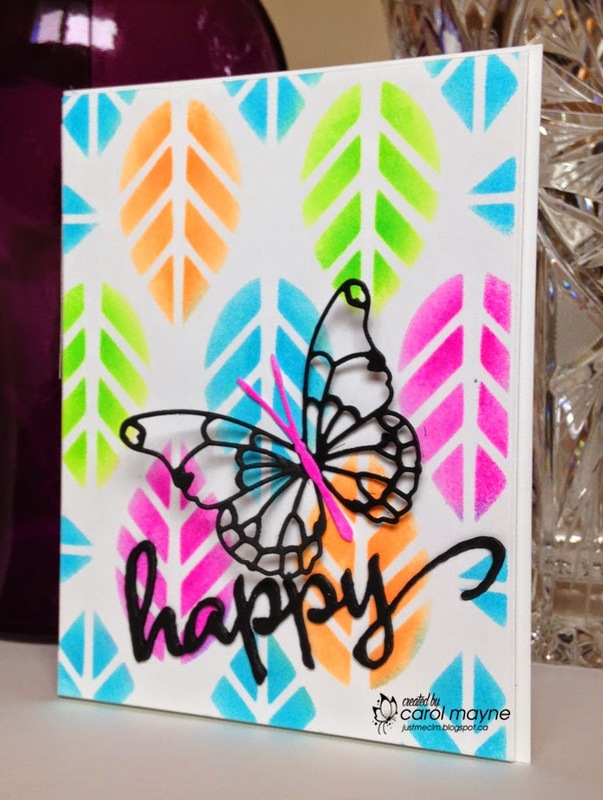 Kylie’s use of bright colors is fantastic! 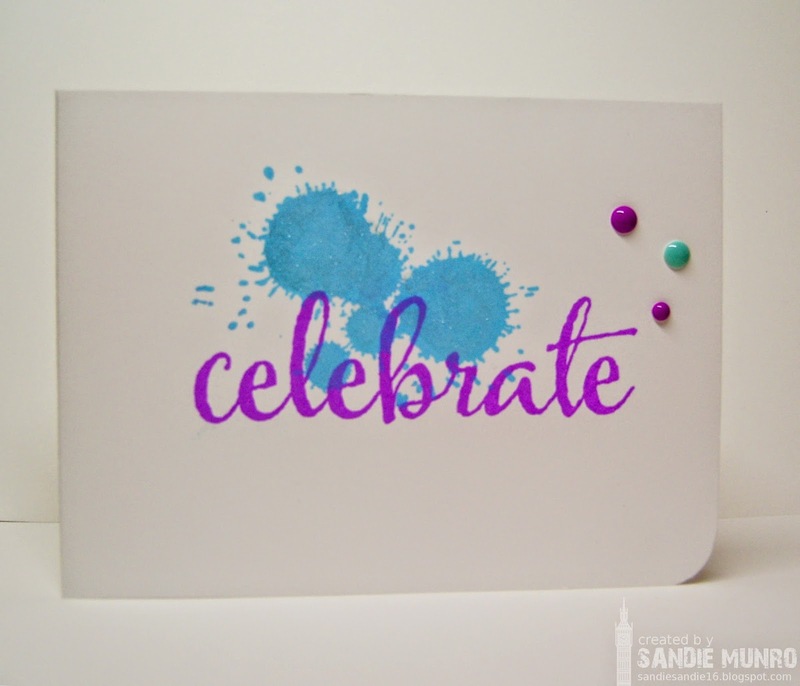 With the beautiful hearts “sprinkling” down and the die sentiment that could not be more perfect for our challenge, this card was a clear winner! 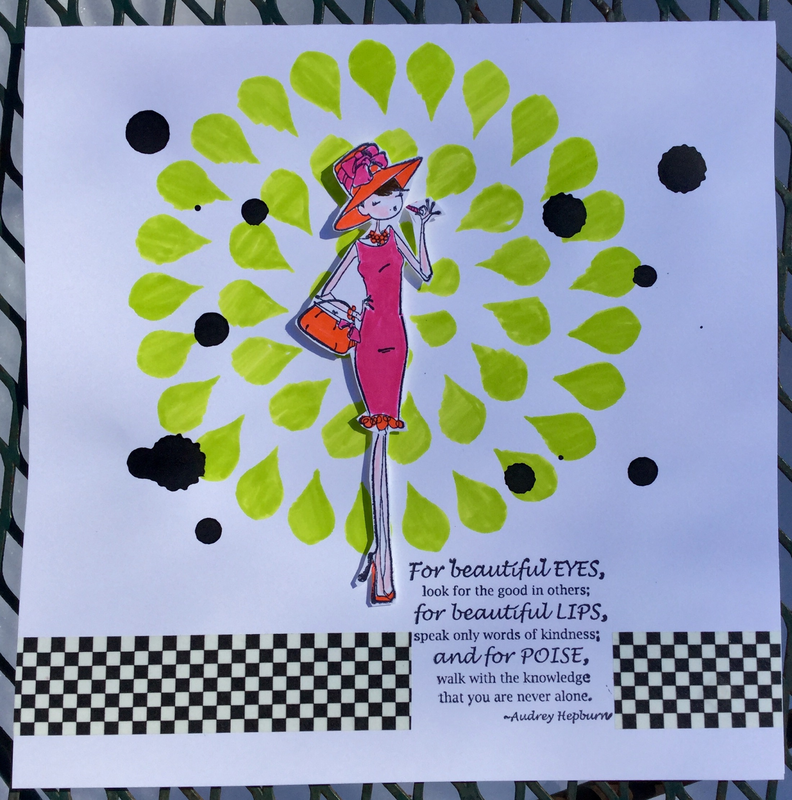 We like Lindsey’s beautiful composition. 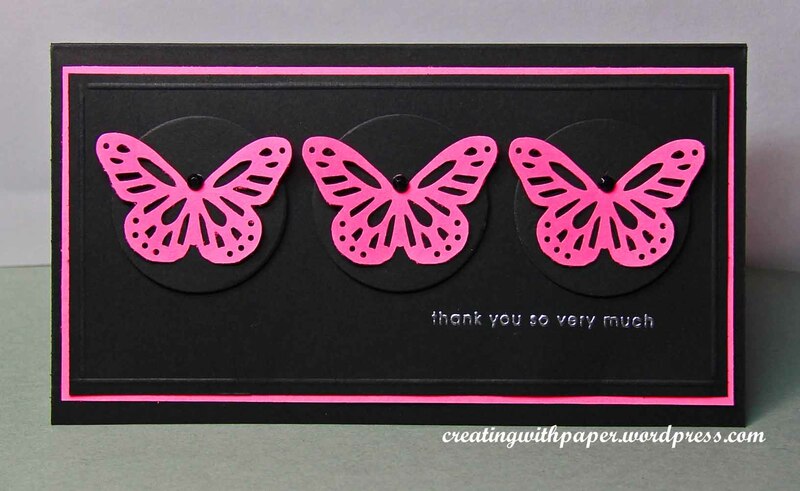 Her mix of grunge and the softness of the butterfly make a very delicate look! 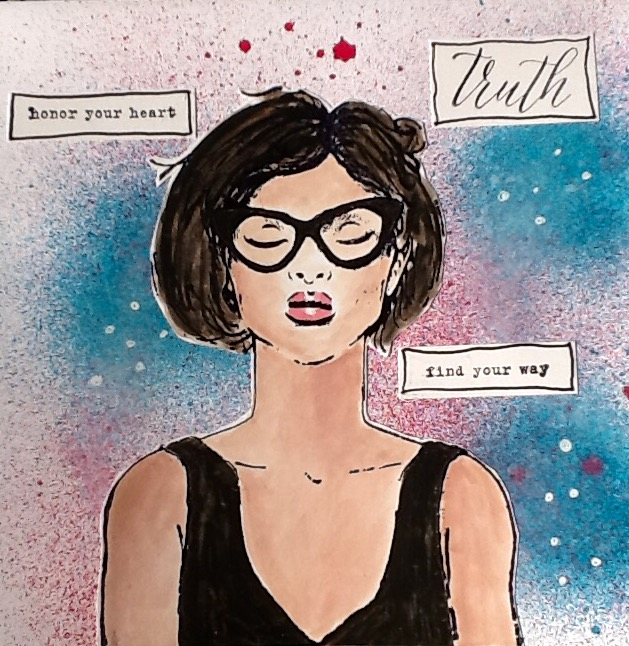 It's DT member Yvonne's turn to pick our challenge and she's chosen 'She Art' . 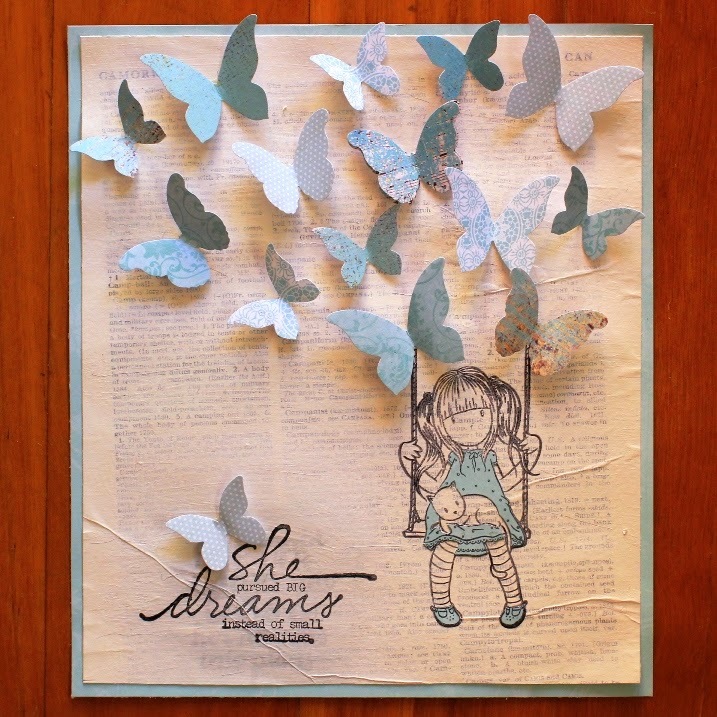 If you’re not familiar with She Art it’s worth doing a Google Image search – some fabulous artwork out there. However, as we want to encourage people with different styles, we welcome a wide interpretation of the theme - maybe an element of She Art eg. 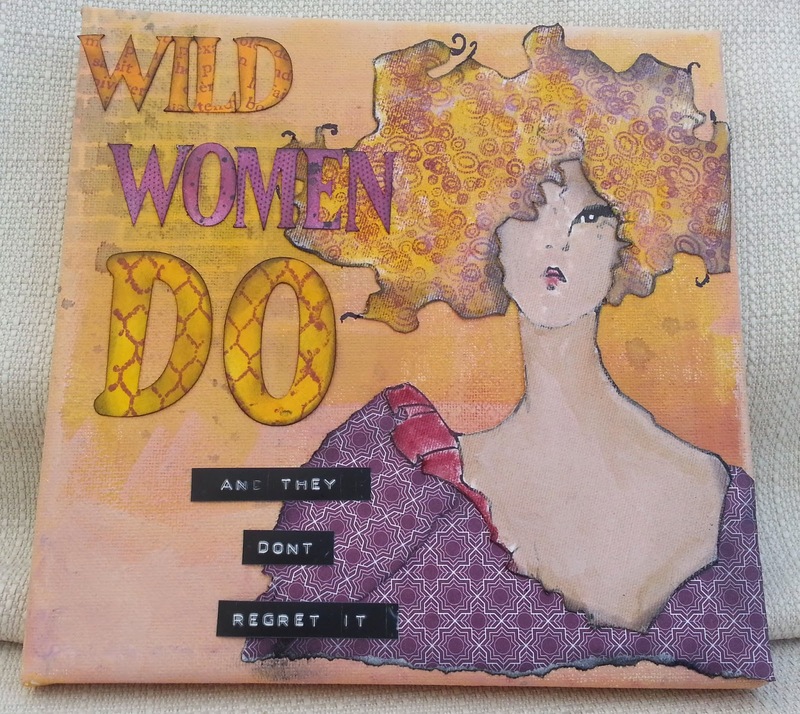 an uplifting sentiment or mixed media background or just any female image in your design. 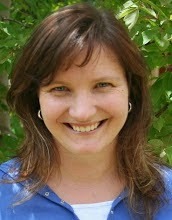 Lyndal here, from Melbourne Australia! 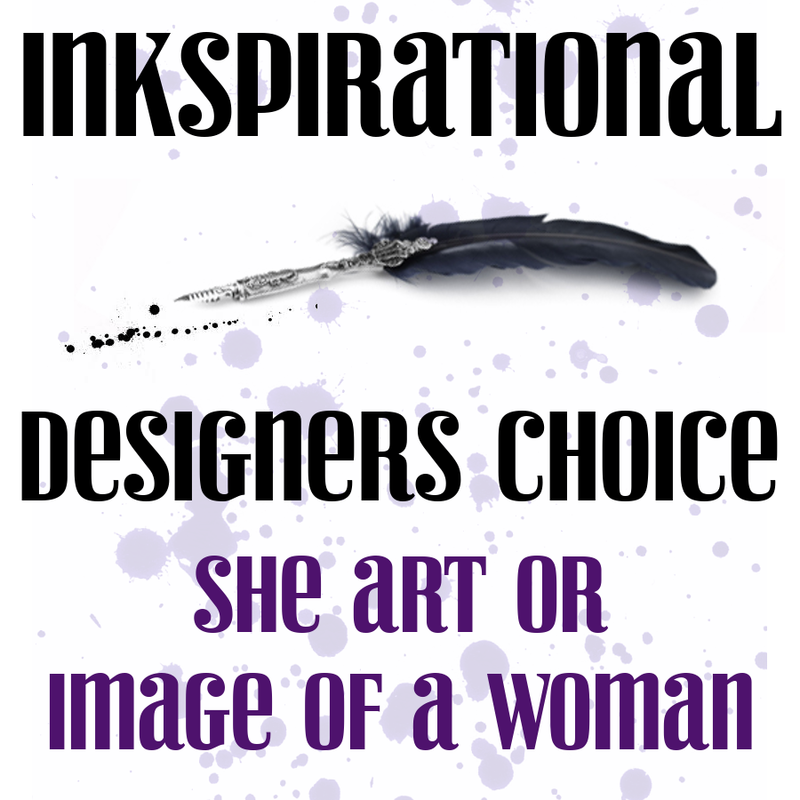 So excited to be asked to join in the fun at Inkspirations as Guest Designer for the She Art Challenge. 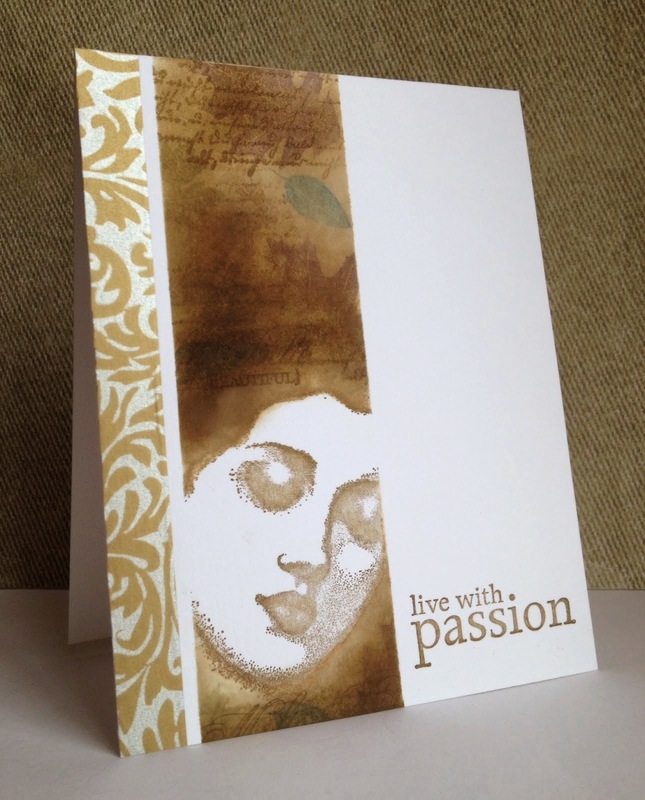 I've dabbled in scrapbooking as well as cardmaking, and enjoy getting messy with mixed media too! 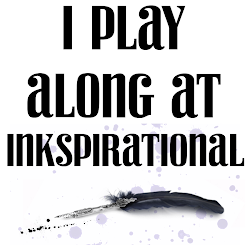 I LOVE this creative outlet and the on-line community that surrounds it. 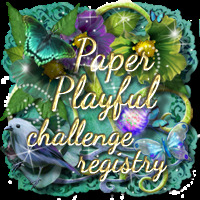 Hope you can join in the fun this challenge, I can't wait to see what you create! We were all taken by Shelly’s origami crane nestled on the gold background. 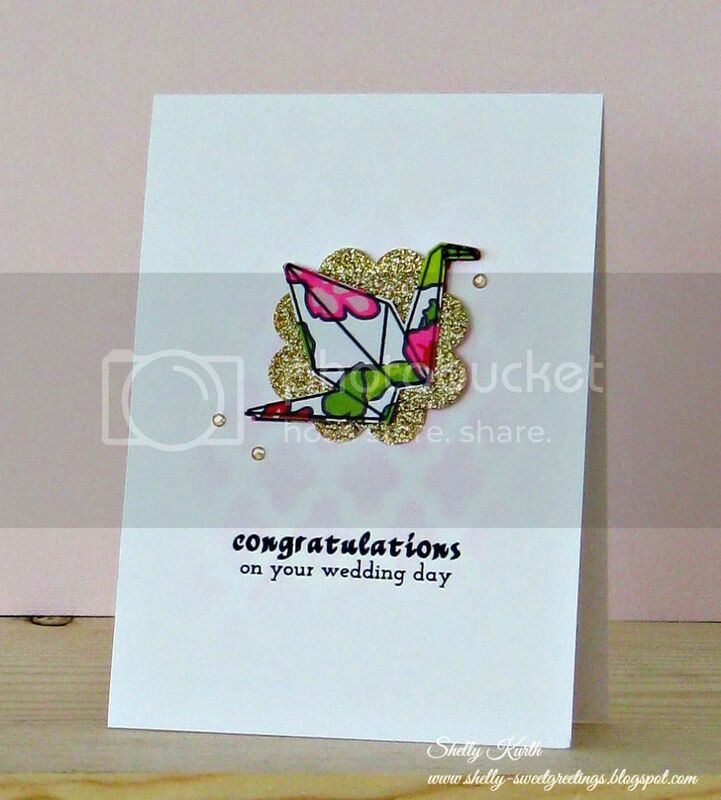 Her subtle pink stenciling is a delicate special touch and she captured the 'essence' of the inspiration photo beautifully! 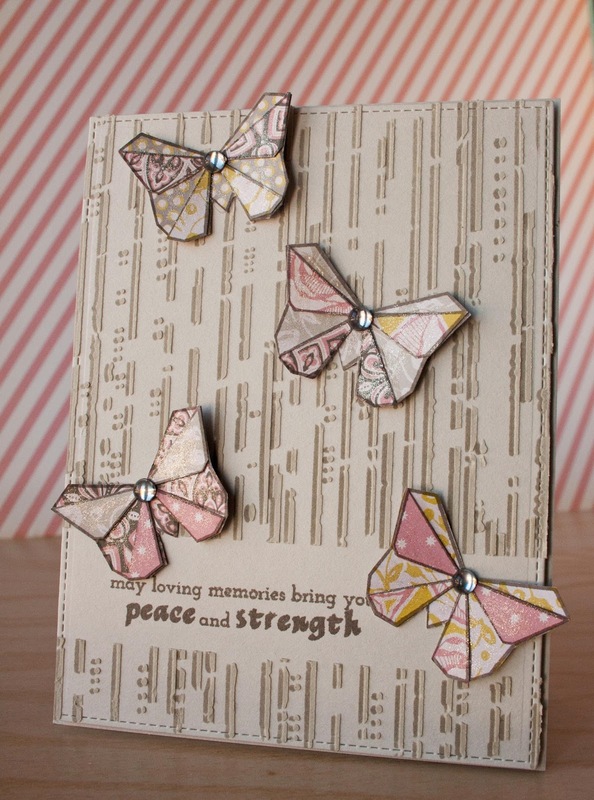 Jill’s origami butterflies are so beautiful and perfect against the stenciled background. Her color combination is great for the inspiration photo. 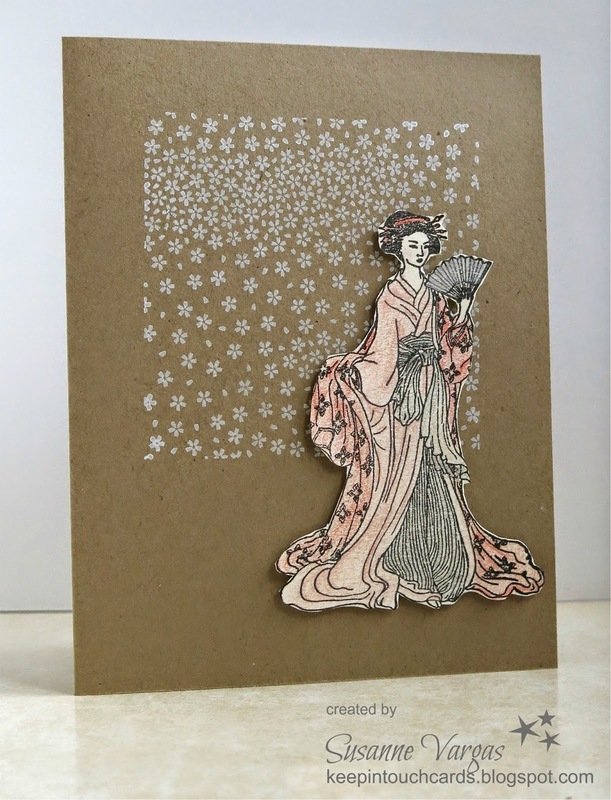 Susanne’s image paired with the blossoms create a soft and delicate look. 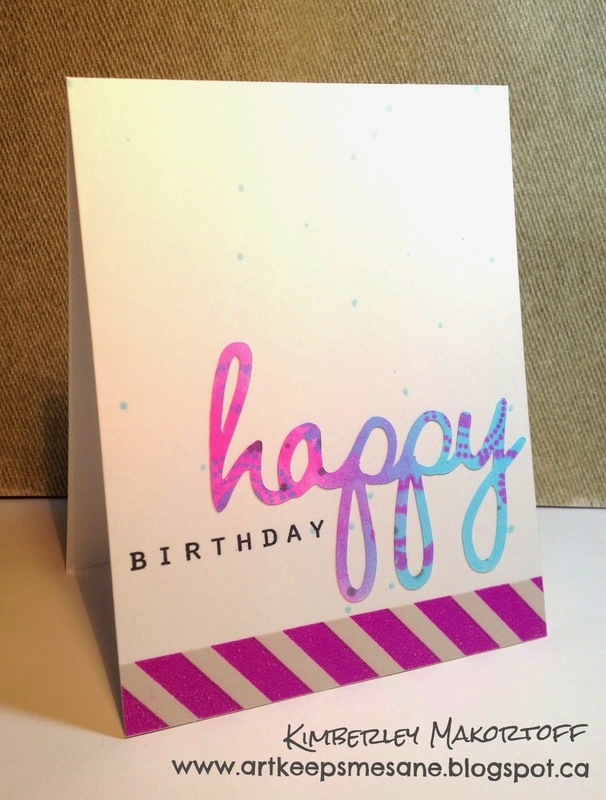 We also like how she used a kraft back with the floral.